“Let there be a garden!”, As if the designers and jewelers of Chanel Joaillerie decided it and collected all sorts of camellias in one collection of jewelry Jardin de Camélias (actually, Camellias Garden in Russian). At the end of last year, the director of Chanel Joaillerie Benjamin Komar promised Watch / Jewel: “In 2013, we are not going to relax after the anniversary 2012 for us and want to surprise our female fans even more. Following “1932”, the largest in terms of the number of products and in terms of the cost of rare large stones of a high-level assembly, we will present two new haute joaillerie collections at once! And they will be devoted to two significant themes of Chanel. ” Well, the promise, or rather its first part, has been fulfilled: truly, the theme for Camelia, a sign for the House of Chanel, has been revealed as never before on a large and diverse scale. Favorite flower Mademoiselle, he entered the pantheon of the House of Chanel in 1923, and became one of his symbols, one way or another figured in the decoration of clothing and accessories. But camellia received its first jewelry embodiment only at the end of the 1990s: then it appeared in its natural laconic appearance – from platinum and colorless diamonds. 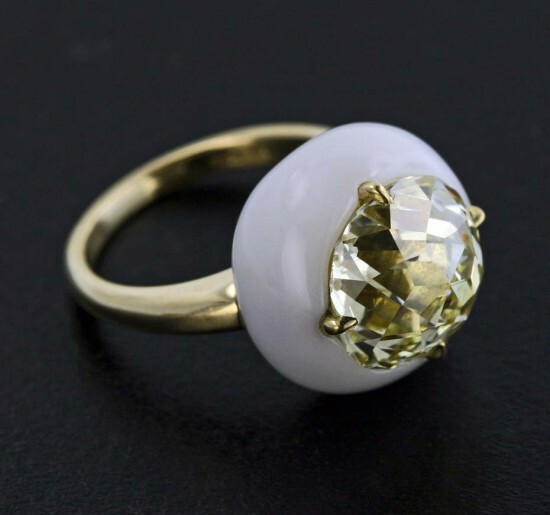 Then, in subsequent years, Camellia was “grown” in the workshops of Chanel Joaillerie with a scattering of black diamonds and camellia in yellow and white gold, and even with a pearl in the center, and camellia in contrasting colors of onyx and cacholong … There was even such a rare appearance like camellia with paraiba tourmaline core and enamel petals. To date, the last flower brooch was the most radical “variety” among all the precious camellias, but in the collection of high jewelry art Jardin de Camélias, the Masters of the House brought out new unprecedented jewelry varieties of this flower and created a real colorful garden from it, the apotheosis of the precious camellia theme. True, while studying closely the unprecedented varieties of the flower in Jardin de Camélias, the origins of this selection become clear – the jewelers “inculcated” other themes, significant for Chanel, to Camellia, which they played in previous collections of jewelery: couture ribbons and embroidery, a symbol of the Sun, colors of Byzantine art and contrasts in black and white. 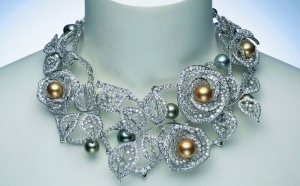 However, innovative techniques and plots in the Jardin de Camélias are also available – you can not refuse the fantasy to the “growers” ​​of Chanel Joaillerie. 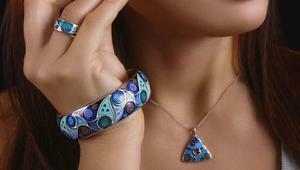 So, fifty-four items of the collection are divided inside it into several lines with a general style. 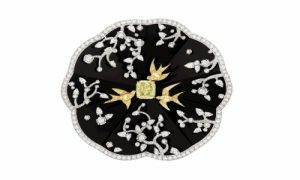 Perhaps the most unexpected and interesting of them is Camelia Coromandel: only a contour remains in a brooch, a ring and earrings from a flower, the camellia itself is made of black enamel, and its surface is decorated with a sakura diamond ornament, among the branches of which swallows of yellow diamonds of different cut diamond This motif is peeped by designers on Coromandel screens (lacquered screens with landscapes and ornaments created using paints, ivory, mother of pearl and precious stones; art that was born in China during the Ming dynasty in 1368-1644) in the apartments of Mademoiselle Chanel on rue Cambon , 31 and it was he who gave the name to this jewelry. In addition, they are also a curtsey in the direction of the watch direction of the Chanel House and a reminder of the Coromandel decorative watch created last year together with the enamel Anita Porsche. The wind from the East clearly inspired the style of Camelia Origami – the flowers in a necklace, bracelet, long earrings and a ring in this line are arranged around a pink spinel core at a right angle, like paper origami, and the petals are studded with white diamonds, purple and pink sapphires. On the wide Camelia Origami bracelet, jewelers fit four such camellias at once, which is why the decoration turned out to be voluminous and lush, like a boutonniere. The pomp of other origin is inherent in Broderie de Camelia – an elegant floral pattern made of diamonds, black spinel, purple and pink sapphires justifies the term “embroidery” in the name of the line – such could well adorn the outfits of Chanel haute couture. Earrings, rings and necklaces of the Camelia Gourmand line look like a precious treat – the openwork diamond petals of flowers are generously covered with tangerine grenades, pink tourmaline, sapphires and rubellites that look like marzipan on the cake.